Today we’d like to bring the energy of Providence into focus ~ connecting with the vibration of the flow of all that is benevolent and beneficial. Divine Providence – the provide-nce of Source – has been viewed as divine care and guidance of God, blessings of good fortune, divine intervention, the providing quality of the spirit of nature, foresight, wisdom…as well as destiny and predestination. Abundance of all that is aligned with well-being is closely connected with the vibrational principle and flow of that which provides, infinitely and eternally. Much has been written about the ‘Law of Attraction’, and how being in a state of appreciation, love, gratitude and joy naturally opens the way for the flow of abundance on all levels, spiritual, mental, emotional and physical. This is the first blissful layer of realigning with providential energies; the realization that we live in a caring, benevolent universe which continuously meets the vibration we are emitting consciously and unconsciously ~ and awakens the focus of becoming a more conscious co-creator with(in) the flow of abundance. A beautiful awakening, at its highest, remembering how to make choices with and from Unconditional Love, rather than from fear-based beliefs and reactions that limit or divert the flow…exercising free will with wisdom and insight. Providence as the flow of destiny and predestination can be seen as a second layer within this vibrational principle, which at first glance might seem to contradict ‘exercising free will’. But if we feel deeper into this aspect of providence, we come to another level of realization ~ that providence is able to flow at its fullest when we ‘let go and let Source’, freely aligning our will with co-creating as, in and for divine service…which naturally unfolds from aligning with our soul’s highest purpose. 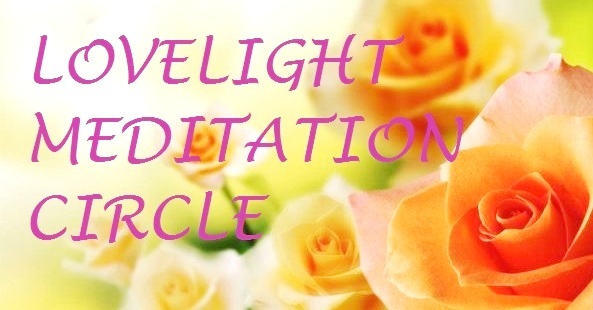 Trust and faith in the infinite oversight, wisdom and loving care of Source opens the way within, for blessings, good fortune, clear foresight and deep alignment to our soul purpose – overall and in this human incarnation on planet Earth – which contains aspects of predestination, and destined pathways. There is an inner call within every soul, coming from the Heart of Source, that sounds softly and continuously. The ego aspect of self that has become disconnected from clear awareness of soul purpose can ignore it, cover it over with noise and distraction, shift it to the side of attachments, drives, wants and rationalizations, or try to bury it for good…but eventually, this sound from the Heart of Source always vibrates through, and opens the heart. Whether the return to flowing-with-Source streams in a sudden flash of self-realization, through a long process of dissolving barriers formed over lifetimes, or through transitional stages of energies fluctuating back and forth, it is the most wonderful gift of love and freedom we can give ourselves and the Whole. In this state of being, the (vibrational experience of) separation of ego self and Inner Divine melts away, and as co-creating in divine service is prioritized, all choices made in the 3D layer are in harmony, in accord with our soul purpose. Emotions and thoughts are always reflecting our inner state of flow-with-Source; feelings of deep inner peace, well-being, joy and warmth come with true alignment to your soul’s purpose. A relaxed, clear mind that doesn’t get rattled by other people’s ‘stuff’ (or your own!) along with feelings of harmony and appreciation in any circumstances, are all pretty good indicators too. Overall, what we experience when freely flowing-with-Source is Providence. To connect with Providence, we’d like to share an Inner Heart visualization now, with thanks to Archangel Barachiel (whose name means ‘Blessings of God’). AA Barachiel is sometimes listed as one of the Seven Archangels before the Throne of God. We would call him an Angelic Rose Knight, and indeed he has often been depicted crowned with and carrying pink roses (symbol of Divine Love) and giving them out wherever he goes ~ the angelic deliverer of providence. His listed attributes also include ‘having dominion over lightning’, which we’ll speak of below. Put yourself in a comfortable position and take a few deep, relaxed breaths. Let your body relax completely, let your mind still. Focus inside your head, seeing a little you in there, with a spiral staircase leading downward. Follow the stairs down to your heart centre, where there is a door before you. Open the door, and see/feel yourself stepping over the threshold, into your Inner Heart realm. Imagine you are stepping onto soft green grass. Feel it under the soles of your feet. Feel beautiful rays of sunshine in there, and a stream in front of you, with a crystal bridge over it. Now imagine you are holding something loved and adored in your arms, something you can press to your heart. If you’re a dog-lover, it may be a little puppy, or your favourite pet. Feel your hands around its warm body, how warm your heart feels, with this dear trusting being held close to it. Or if you’re a cat-lover hold a beautiful feline friend to your chest, or imagine a little kitten, soft and snuggly, feel its purrs vibrating through your heart. Or maybe you see a new baby, it could be your own child if you have one, holding it close and tenderly, feeling that total upwelling of warm love and care for this little being. Or this can be anything you have deep love and affection for, that you immediately feel warmed inside, by remembering or imagining it. Walk over the crystal bridge with the stream flowing beneath, flowing from Source, the flow of pure Love, and on the other side (you’re crossing from 4D to 5D) there is a temple, maybe beautiful trees and plants, mountains, ocean, whatever is in your heart of love. In the grass in front of you a pool forms, filled with shimmering water. Archangel Barachiel is standing on the other side of the pool; kneeling, he spreads rose petals in the water. It fills with golden, rose and white lights, and the scent of roses. You step into the pool now, holding your little loved being on your heart ~ feel the soft warmth of the water as you sit down, then lay back resting in the pool, immersing yourself in the shimmering water. Archangel Barachiel picks up a golden jug from beside the pool, fills it with water, and pours it gently over your head and neck, over the little loved one ~ which may be your own inner child, or representing a dream or vision you hold dear. Relax and rest there, feel your whole being bathed in Divine Providence, you’re completely safe and supported IN the abundant, wise, foresighted flow of Source. All the love you feel for your special baby, puppy, kitten or other cherished being is flowing through the whole of you, a thousandfold, infinitely opening, freeing and expanding. Rest in this flow of Blessing, feel how it vitalizes and inspires you, how it brings into crystal clarity your soul’s highest purpose in the forever, and here and now in this embodiment. Feel the sacredness, love, peace and joy of your inner child, your inner vision, aligning blissfully with your Inner Divine, connected with Source as One, with deepest guidance in and for this embodiment. As gratitude lights inside you, see this Divine Flow of Providence rippling all around the world ~ your highest good and the highest good of All completely in unison, for it is all One ~ feeling this now, and on rays of golden sunlight, the blessings in your Inner Heart radiate through your entire being, your loving vision, merging with all the supporting high light-grids of Love around and in the planet, raising the vibration of Providence for All. And So Be It. It Is Done. On the theme of providence and the heart, as the energies interweave and reflect into 3-4D, on Sunday May 21st, Ashura&I with star family completed the second stage of a node/vortex activation that began last October (see this post) in the Chittering Valley, north of Perth, Western Australia. This node is enfolded in a spiral labyrinth, with a heart-shaped stone in the centre-point. The activation we did this time was anchoring Feminine Christ energies via our merged Flame through the node in union with star family and ascended ones around the planet, using the visualization of the sacred Grail Cup filling with golden-white Light of Ascension and Resurrection of the divine goldenprint of life in an around the Earth, connecting higher light-grids…and calling in Divine Grace and Providence. Photo taken by Rob Hartland of wispyclouds.net, at Peace Be Still, Chittering Valley, Western Australia, on May 21st, 2017, during node activation. Photo by Rob Hartland, showing sun setting in a ‘cup’ between clouds, with large heart shape in the clouds above, May 21st, 2017. Underside of ship directly overhead during activation, photo by Rob Hartland, May 21st, 2017. Photo showing Lucidan ship at far lower right in front of cloud, by Rob Hartland, May 21st, 2017. Lucidan 9D ship close-up, with ‘acorn’ shape, cross laid on top & figures ringed around the lower rim in archways, photo by Rob Hartland, May 21st, 2017. This lightship has Lucidan soul energies; Lucida was the first dwelling place in this galaxy of Ashura&I and many of our soul family, a planet of the star Anser (Lucida Anseris) in the constellation Vulpecula, near Lyra. In node/vortex points around the Earth we sow ‘Lucidan Light-seeds’, template-seeds of Divine Oneness, the memory and experience of complete unity and union in Love. Lucida in universal sound-forms means “(place/land of) shining-vision-beings” ~ a sanctuary of blissful ‘providential’ unity and peace of leonine, carian (bird-beings), human and high light dragon souls that didn’t polarize as this galaxy vibrated into duality, but remained in the ‘cross of four/4 is Love’ frequency, holding in their harmony the alignment of the Goldenprint of Life flowing from the Heart of Source, that expresses through the Golden Ratio, and laying in the template to re-activate it now on Earth, in union with Earth’s planetary soul Gaia. This crossbar of leonine-carian-human-dragon unity is represented in the equal-armed golden cross on the lightship seen in Rob’s beautiful photo. Many Lucidans have soul expressions of Angelic kind, as angels are beings of merged energies; the human, leonine and carian streams blended together with soul input from aligned higher dimensional universes and galaxies, with the purpose of guiding, restoring and assisting the renewal of our Milky Way. Celtic sun god Lugh, artist unknown but appreciated. Our gratitude to the ever-flowing golden Providence of Source, the Archangel Barachiel and all guiding ones of the Shining Vision. Special thanks to Rob&Shelley Hartland, who assisted the May 21st activation, and for Rob’s permission to post his photos here. Love to all, and wishing providential energies in all your paths ~ the Heart of Source beats within All, in our every heartbeat, the pulse of highest love, abundance and purpose can be attuned to in a moment…always.